Within the medical community, a cutting-edge treatment is proving to have exemplary results for its regenerative effects. Exosomes are produced from the plasma membranes of cells and are best explained as extracellular vesicles. Exosomes are nanosized particles that are released due to an immune response. Some medical professionals are reporting that they are more regenerative and effective than stem cells. Because they act as intracellular communication messengers within the body and have the ability to move between multiple cells, they are also incredibly useful when paired with stem cell therapy. Dr. Sunil Panchal of the National Institute of Pain has been committed to regenerative medicine and stem cell therapy for several years. Dr. Panchal explains exosome therapy further, “This is an exciting new approach for regenerative medicine. Unlike PRP which has limited growth factors, or bone marrow and fat aspirate, which has an unknown quantity of stem cells, or growth factors from the patient, or the use of fetal cord blood stem cells (which has unknown function after thawing and also the risk of tumor formation from foreign DNA), exosomes are a highly concentrated and reproducible source of growth factors for regenerative techniques. Although surgery is critical in certain situations, finding alternative methods to treat the underlying condition is always the first step. The National Institute of Pain is a state-of-the-art facility that specializes in the treatment of spine and orthopedic conditions, as well as acute and chronic pain management. 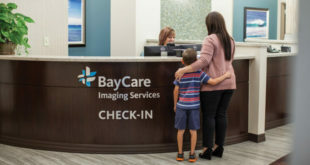 They provide the utmost quality of care for patients to address the problem directly, and if needed, provide for their pain management needs. At the National Institute of Pain, they treat each patient individually, using the latest equipment and various innovative procedures to diagnose pain and determine your care needs. The National Institute of Pain’s President and Founder, Sunil J. Panchal, MD, is a board-certified interventional pain/ minimally invasive spine physician. He earned his Bachelor’s degree in Biology from Rensselaer Polytechnic Institute in Troy, NY, and earned his medical degree from Albany Medical College of Union University in Albany, NY. In addition, Dr. Panchal completed The Business of Medicine Graduate Program at Johns Hopkins University in Baltimore, MD. Dr. Panchal completed an internship in general surgery at the University of South Florida in Tampa, a residency in anesthesiology at Northwestern University in Chicago, IL and a fellowship in interventional pain medicine at the University of Illinois in Chicago. He previously served as co-director of the chronic pain service and director of the multidisciplinary pain fellowship training program at Johns Hopkins University and subsequently as director of the division of pain medicine at Cornell University in New York. He is a member of the North American Spine Society, the North American Neuromodulation Society, the International Neuromodulation Society, and the American Academy of Pain Medicine. Dr. Panchal has authored numerous peer-reviewed journal articles and has served as a reviewer and editor for several journals. He is the co-editor and co-author of the textbook Comprehensive Treatment of Chronic Pain by Medical, Interventional, and Integrative Approaches (2013). Dr. Panchal is a principal investigator in numerous clinical trials, including a current study evaluating sacroiliac joint fusion. Dr. Panchal also served as the Chair of the National Comprehensive Cancer Network Cancer Pain Panel and has lectured widely at the national and international level. He is actively involved in the development of novel analgesics and neurostimulation devices, and in clinical research protocol design. 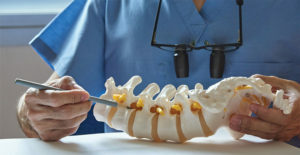 At The National Institute for Pain, their goal is to strive to deliver the highest quality of comprehensive care for those who are suffering from spine, joint, and nerve injuries. They have many alternatives to help you with your personalized treatment needs. 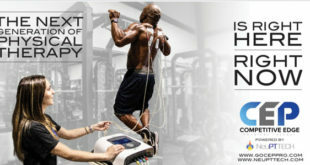 Please visit their website at www.nationalinstituteofpain.org, or call them at (813) 264-PAIN (7246).